The view of the Wall one way. The view the other. Note that there aren’t a lot of other people here with me. 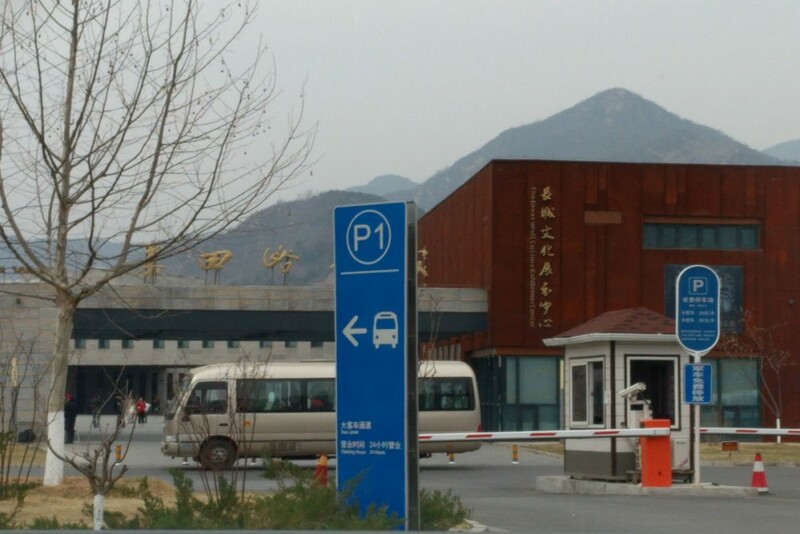 Most tourists arrive at the Mutianyu welcome area and have to take an official shuttle bus up to the Wall entrance. Traveling with WildChina meant I didn’t have to. 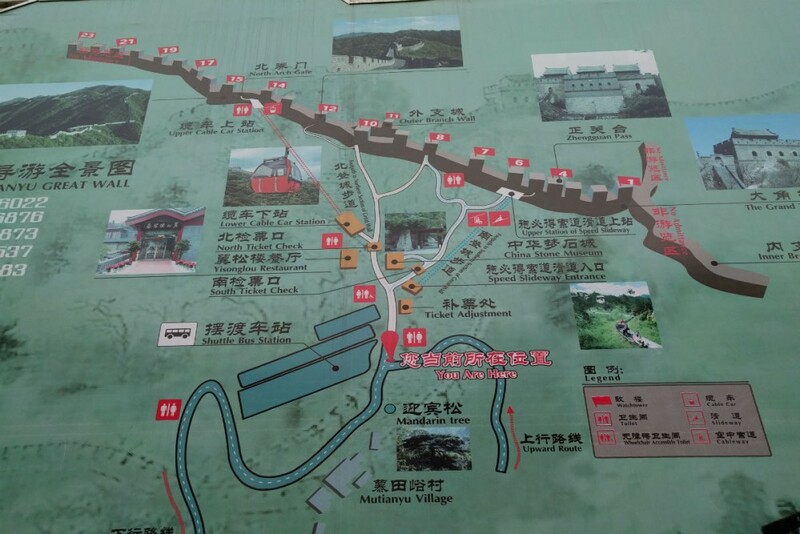 As you can see from this map, you can hike among 23 watchtowers on the Mutianyu section of the Wall. 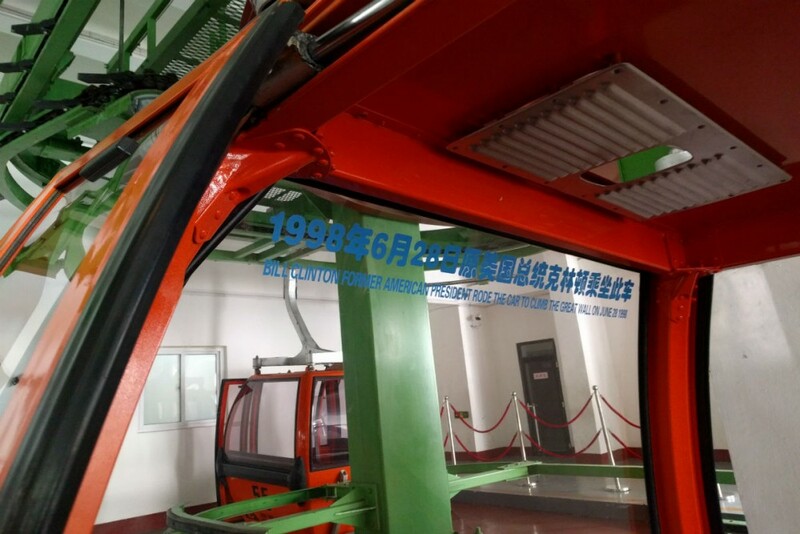 Bill Clinton rode this exact cable car up to the Great Wall in 1998. Billie Cohen rode it in 2016. I visited Beijing in late March, which meant the trees had only just started to wake up from winter. 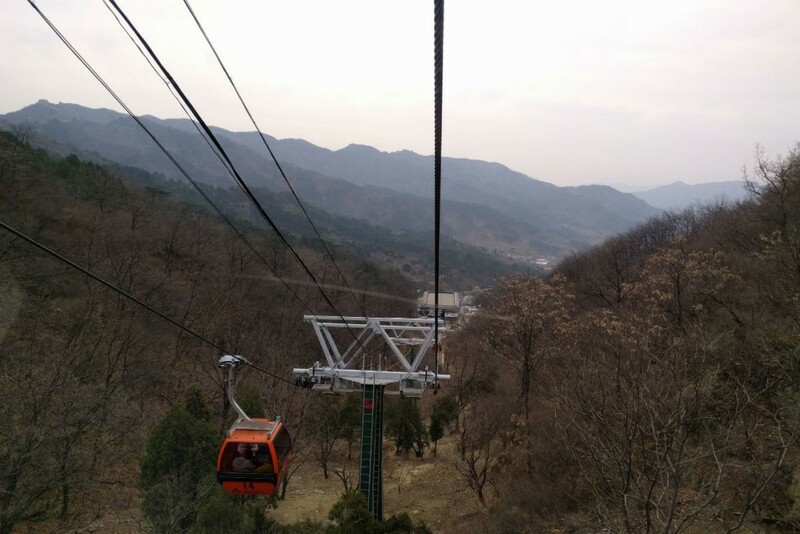 In a few weeks, the view out the back of the cable car will be greener but it will also be more obscured. Also, notice the lack of haze. This is a great time of year to visit Beijing for clear skies. See how the Wall curves to the right? Legend has it the foreman was a little tipsy when he gave the construction order. 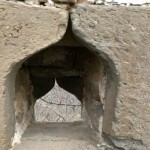 Lotus-shaped arrow holes were added to the Wall in the 1580s. 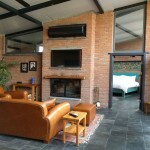 The Brickyard resort and restaurant is a repurposed glazed-tile factory. 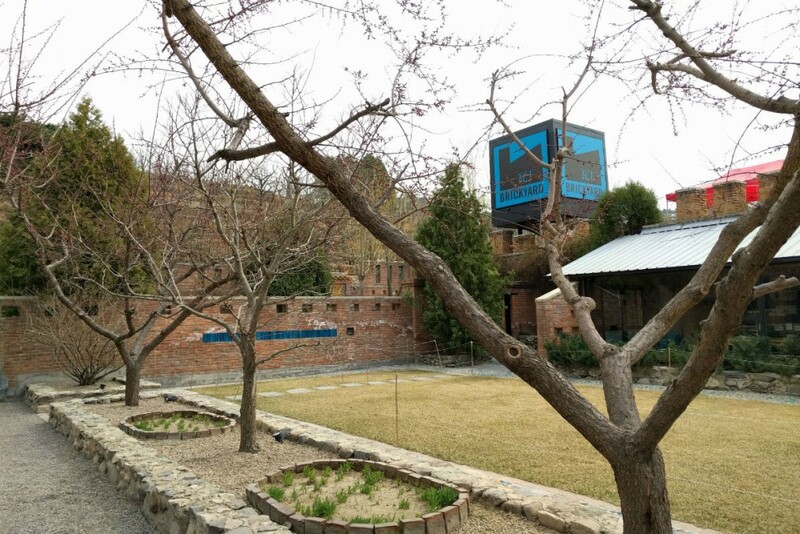 In a few weeks, these bare trees will be full and the onsite culinary garden will be blooming. 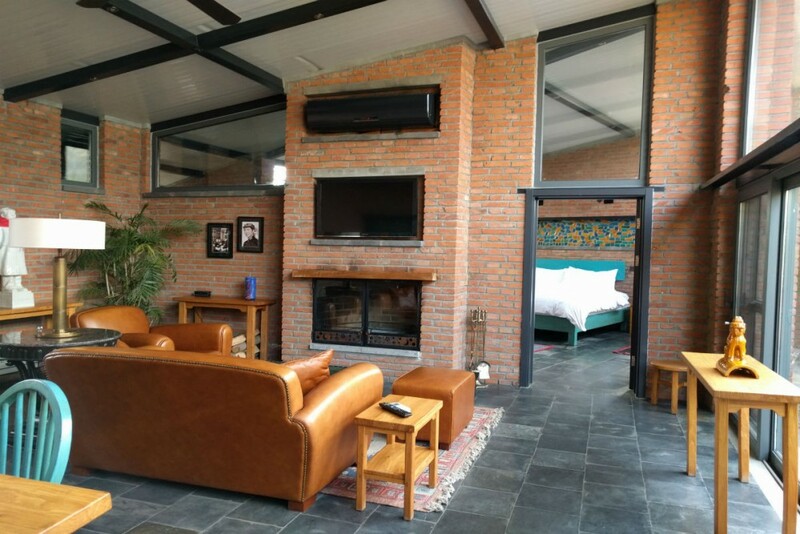 The Chairman Suite at The Brickyard at Mutianyu maintains the feel of the original factory, and also has some retro 1960s touches. Everyone’s seen pictures of the Great Wall of China. And it’s been around for nearly 3,000 years. But if you’ve only seen the photos or only remember the basics from your school lessons, you’ve hardly scratched the stone surface. I walked the famous stretch of barricade in Mutianyu, with my history-buff guide Chris from WildChina (the company run by Mei Zhang, one of Wendy’s Trusted Travel Experts for China), and he worked three bits of magic. 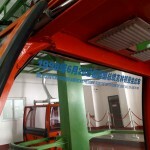 First, without WildChina’s special access, I would not have been able to roll right up to the entrance. I would’ve had to ride the crowded shuttle bus with everyone else from the gift shop mall at the bottom of the hill. Instead, we drove nearly all the way up to the ticket booth and didn’t have to wait for anything or anyone. Second, he timed our visit so that we were not surrounded by massive crowds. 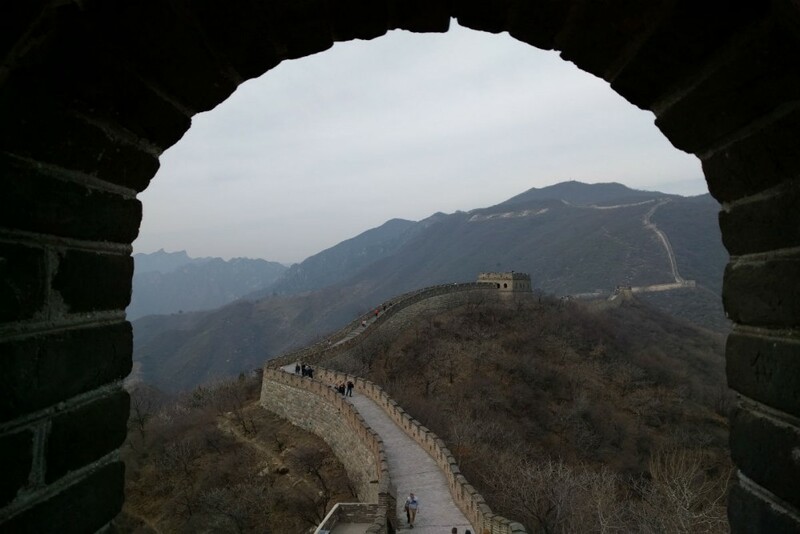 Granted, the Great Wall is China’s biggest tourist attraction, so it’s never going to be completely empty—but by scheduling my visit on a Monday around 11am, we missed the morning tour-bus crowds and were able to stroll the Wall freely, rather than crammed in among swarms of other people. Third, the history and context that Chris knew made the Wall come alive. I almost felt bad for others at the Wall—for them it was just a spot for a bucket-list selfie. 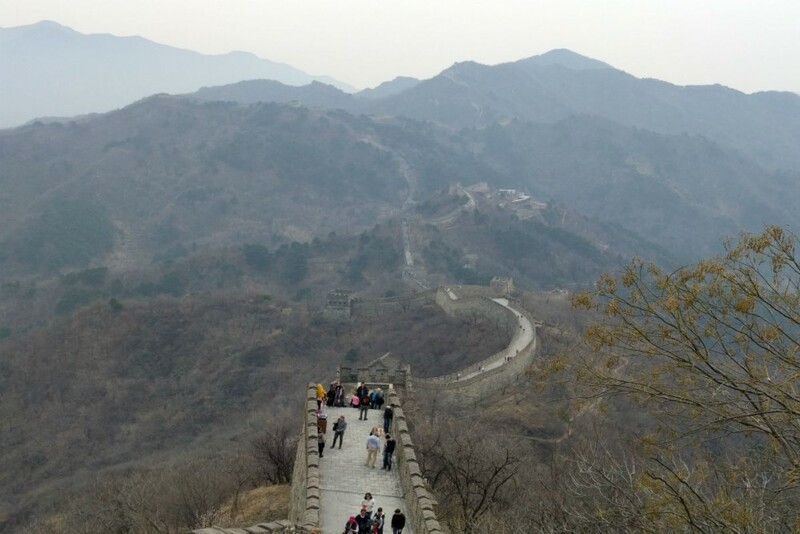 Here are nine secrets about the Great Wall of China and how best to experience it. 1. It doesn’t all look the way it does in the photos you see online. Various tribes contributed to its growth, building different parts out of clay, earth, stone, and wood at different times as far back as 700 B.C. The Han tribe’s Wall (as in the predecessors of Atilla) was the longest, at about 11,000 miles, but it’s almost all gone. 2. But a lot of it does. It was Emperor Qin Shi Huang of the Qin Dynasty (the first of unified China, around 220 B.C.) who effectively stitched together the tribal sections into the more familiar stone barrier we still see today. Subsequent dynasties added to it and reinforced it, and China’s Ming Dynasty (1368-1644) extended them. There are more than 9,000 miles of the Wall left, and about 4,000 of them look the way we imagine it: built out of stone bricks. 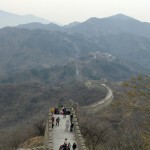 These sections were constructed during the Ming dynasty. 3. It extended beyond modern-day China and Mongolia. There was even a stretch of the old Wall in North Korea, but Kim Jong-Il tore it down out of national pride. 4. Construction didn’t always go as planned. 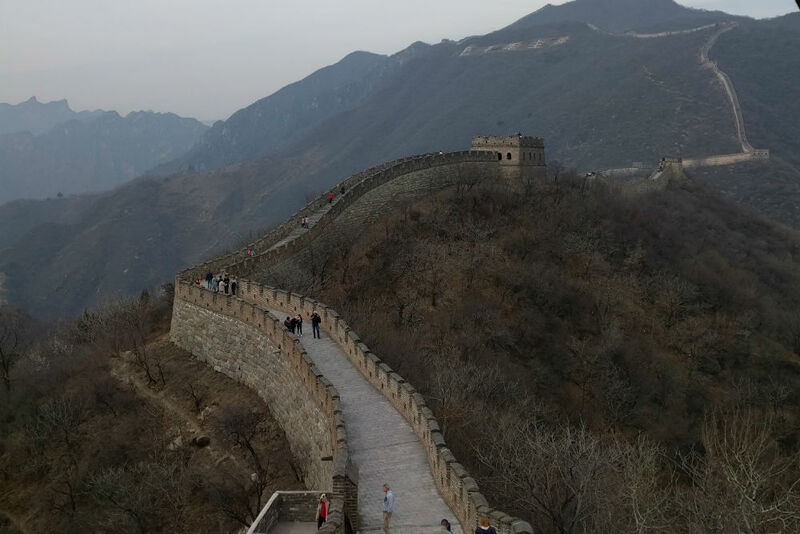 If you look downhill from where the cable car lets you off in Mutianyu, you’ll see a stretch of Wall that oddly loops out from the main path. Legend has it that, in the 1500s, the guy in charge of construction got a little drunk and gave the wrong order. To this day, the Wall still juts out unexpectedly. 5. War and peace really do go together. 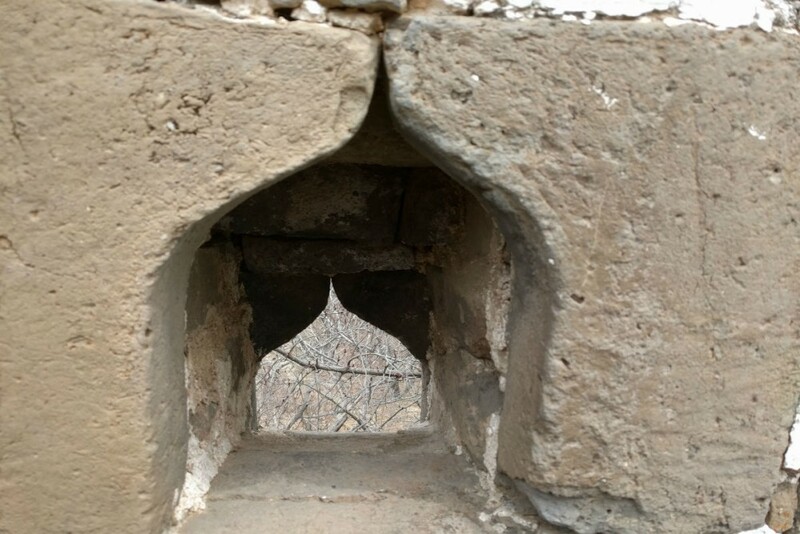 In the 1580s a general added lotus-shaped arrow holes to the Wall, in a reference to the Buddhist blessing for peace. 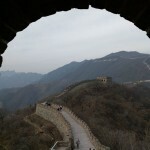 In Mutianyu, look for them near your feet, where the steps meet the Wall. 6. 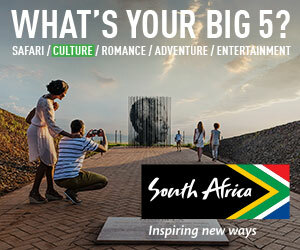 History is still living…nearby. 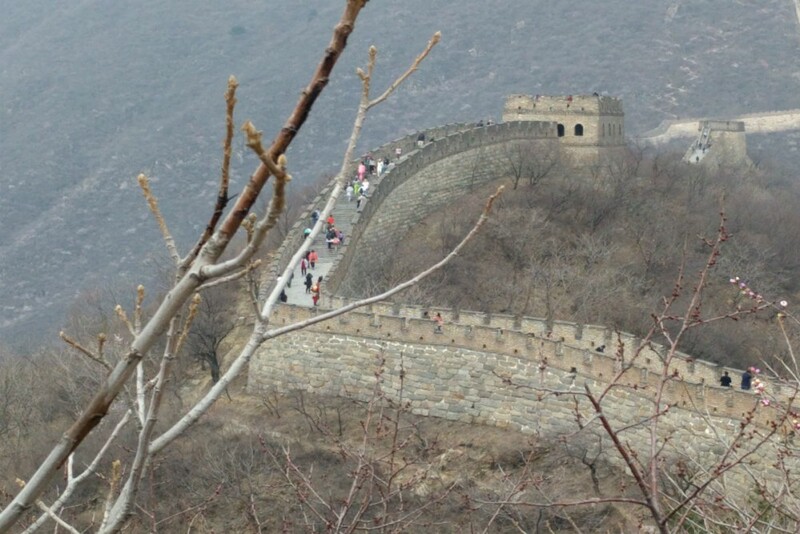 The residents of the village of Mutianyu are the descendants of those who built the Wall. And during the Cultural Revolution, farmers stole stones from the Great Wall to build their houses. Even today, some of the village homes still have Walls made of appropriated bricks. 7. 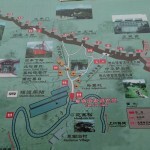 The Mutianyu section of the Wall has its own Hollywood sign. In the 1960s, a giant stone sign was laid on the side of the mountain in honor of Chairman Mao; it says “Loyal to Chairman Mao.” Over the years, the brush overtook it and it was lost to sight. 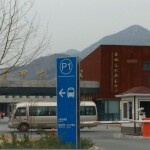 Seeking a way to bring attention to his village, the Mutianyu mayor in 2008 had the sign cleaned and fixed up. Look for it to the left side of the Wall as you gaze uphill. 8. 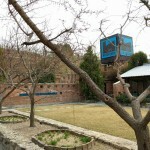 You can stay overnight near the Wall and not feel like a tourist trapped in a low-budget motel. American Jim Spears and his Chinese wife Liang Tang have long roots in Mutianyu, and are partners in The Brickyard hotel and restaurant. Built in a repurposed factory that used to make glazed tiles for palaces and temples, the whole spread was redesigned by Jim about ten years ago as a way to showcase the beauty of the area and to give back to the community he and his wife had become a part of. All 25 rooms have views of the Wall, 80 percent of the staff is local (and most are women), and 80 percent of the food is local too (with about a quarter grown onsite). Chef Ranhir Singh let me know that the tofu in my vegetable dish was crafted by a nearby villager. 9. When it comes to visiting the Wall, distance makes all the difference. 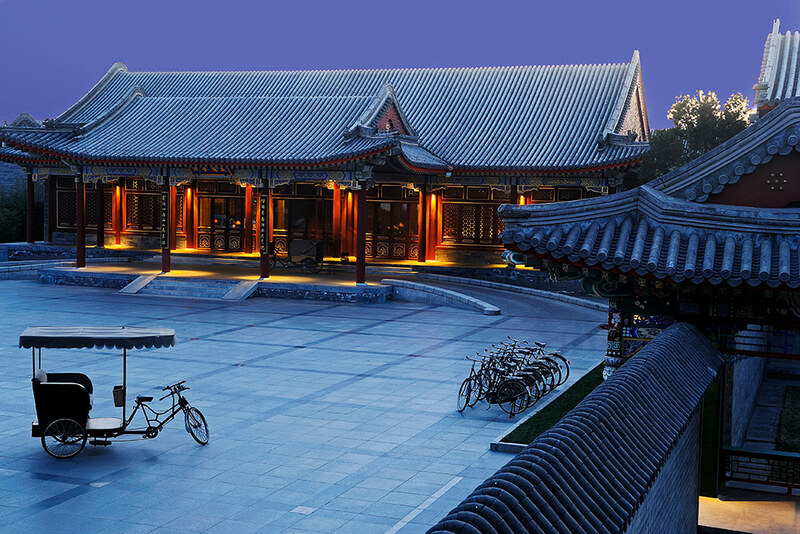 • The sections closest to central city are Badaling and Juyongguan. They’re also the most crowded and commercialized. 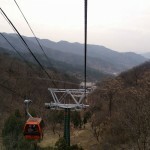 • The next step up is Mutianyu: This section is about 1.5 hours from central Beijing by car. It winds across low mountains at roughly 2,000 feet and you can climb stairs, take a cable car (as Bill Clinton did), or ride a chairlift up to it. From there, you can hike a stretch that connects 23 watchtowers. For those brave enough, you can ride a toboggan back down. This makes Mutianyu sound like an amusement park, but I found it to be not that crowded and, therefore, decently serene. • The “advanced” option is Jinshanling. 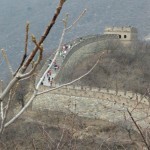 This piece of the Wall, a combination of restored and wild stretches, is about a two-and-a-half-hour drive from Beijing. Because of the distance, it’s usually the least crowded, and because of its elevation, the views can be stunning. But if the air quality isn’t great (therefore limiting vistas), and you don’t have time for more than a day trip, it’s not necessarily worth the effort. • Remember that it’s illegal to hike wild sections not regulated by the Chinese museum system—and they can be dangerous if you try. Visitors have fallen from rougher areas to their deaths. Disclosure: Wild China and their partners provided most elements of the writer’s trip (hotels, guides, ground transportation, and sightseeing entry fees) free of charge. In keeping with WendyPerrin.com standard practice, there was no request for coverage on Wild China’s part, nor was anything promised on ours. We agreed to this arrangement so that we could test out the services of one our Wendy’s Trusted Travel Experts and report back to you on it personally. We've been hearing from readers and from travel planners that many people think China is a hard place to visit. They couldn’t be more wrong.